The title of this site is from the book and movie "We Were Soldiers Once...and Young". The book by Lt. General Hal Moore and United Press International Reporter Joe Galloway. The movie, starring Mel Gipson, is probably the most authentic film of the Vietnam War I have seen. This site is the result of a week long trip back in time for me after viewing some slides that are 38-53 years old. I bought a scanner three years ago. The machine came with a device to scan slides and it was not until the second weekend of June 2005 that I learned how to use it. Our future is determined by our past. We can change the future each minute of each day by assessing past mistakes, failures, and successes and making choices that will change the course of history. But no matter how much we might cry, fret, worry, or laugh, we can't change our past. On the ensuing pages are some of the 100's of slides I took in Vietnam. I have a couple of degrees from Mississippi State. I got my education "in country". The pages are divided up into "chapters", each one denoting a different location or task. Just click on the hyperlinks at the top or side of the pages. All the pictures are "thumbnails". To see a larger version, double click the small picture. Getting there was not as eventful as being there. But getting there led up to the decision to go. 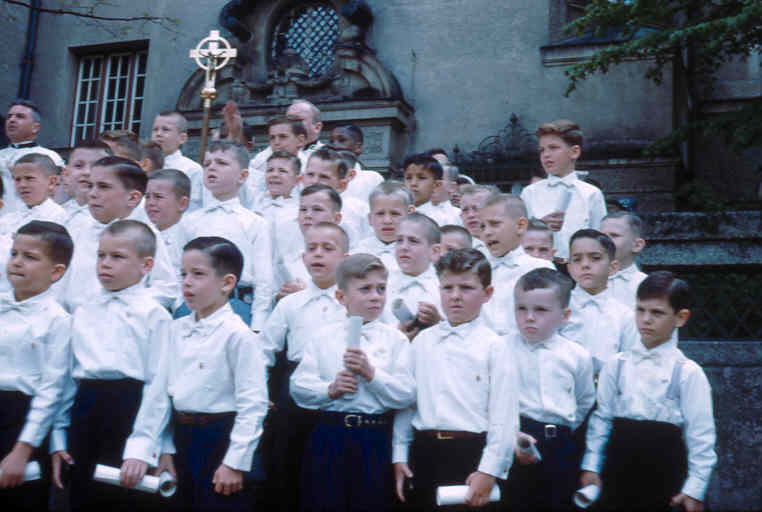 Somewhere in this picture you will find a young boy making his first communion. No matter what I have done, my Faith has been a part of the action. Either knowing that the action I was doing was right or wrong, Faith played a role in each decision. 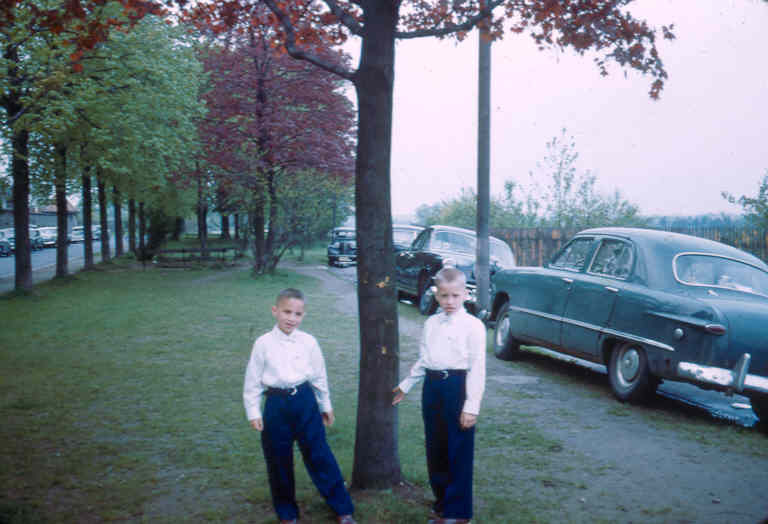 I am 11 months older than my brother Mike. I was born 11 months after our parents' married ( or so they told us). I know he was born 11 months after me. I include this picture because we probably competed throughout school. He is really smart at business. I am...well, a master at little and a good Democrat. After High School, we enlisted together and served in Vietnam together. He was a platoon leader in the infantry battalion I supported as a platoon leader in the combat engineers. I took him on his first patrol, burned my fingers throwing a used smoke grenade into a river when I told him we couldn't leave smoke grenades on the roads since troops kick things that could be boobytrapped. His goal was to become a general, mine a politician. I reached mine first and lost it in a re election. He reached his and kept it until he retired as a Major General. We have two more brothers and two sisters, three of whom are in the army or a veteran of the army. 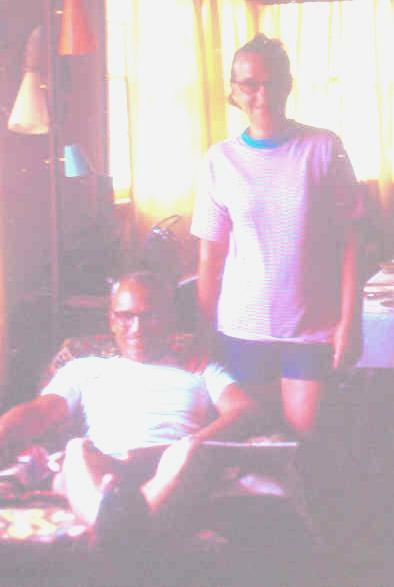 This is Mom and Dad. Both were veterans and at one time my Mother outranked my Father. She served during the war at the Kennedy Hospital in Memphis. This was the old veterans hospital on Getwell. She decoded personnel files of wounded soldiers. They died in 1995 just months apart. 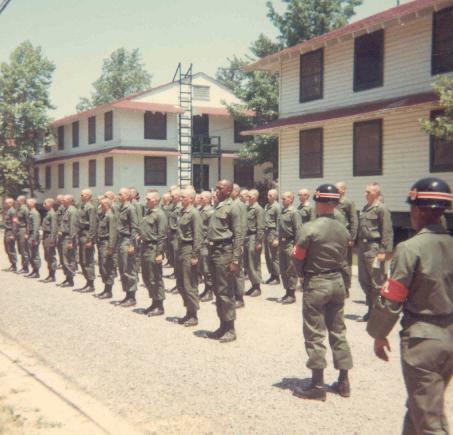 My Father retired from the regular Army in the early '60's and went into the Reserves where he retired again as a Sergeant Major and the highest ranking enlisted man in the Mississippi Army Reserves. When my Mother was dying, she was slipping in and out of consciousness. The last person she recognized was a priest, the last food she consumed was the Sacred Host of Holy Communion, and the last word she said was "Amen" after taking it. She then "slept" for three days and died. God, to be so fortunate as to have such a death. After graduating from high school, my brother and I enlisted. I went to Huntsville's Redstone Arsenal to learn how to be a guided missile computer repairman. Just after Thanksgiving I applied to go to Officer Candidate School. I wanted Infantry, Armor, Artillery. Two weeks later the army told me I could go to any of them but a Combat Engineer Class was starting and I could get in right away. Right after New Year's 1966 I started. Mike went to Infantry OCS in April, I graduated in June, was assigned as a platoon leader in the 15th Combat Engineers, 9th Infantry in July, trained, and we shipped out in early October, arriving a week before my 20th birthday. Here is one of the few shots I have of our troop ship. I (we...a lot of we's) were young Second Lieutenants...butter bars and 90 day (actually six months) wonders. We were on the ocean about 24 days. If you look just below this young man's head you will see a small protrusion from the ship. This is a wind scoop. You put one of these out to catch the wind and cool the room (there were six guys to a room and you could not pass). Anyway, for sport we threw apples and oranges out our port windows and tried to get them into the wind scoop and someone's room. Hey, what else can you do on a troop ship? We would need the skills later for grenade throwing. Fred Chaplin Of West Palm Beach Florida saw this site. 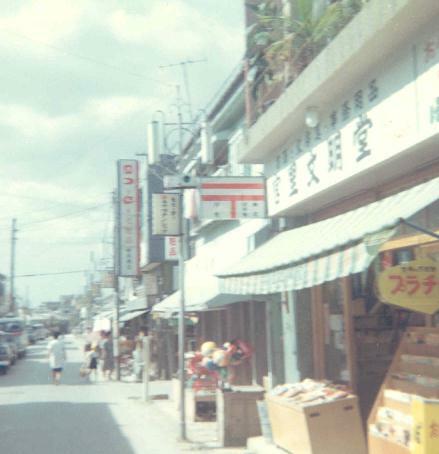 He was a member of Company "A" and reminded me that the troopship we went on was the Sultan. You cannot see them too well, but these are similar to the landing craft we boarded to "hit the beach" when the 15th Combat Engineer Battalion of the 9th Infantry landed in Vietnam. Our unit left Oakland on a troop ship, sailed under the Golden Gate, north of Hawaii, and landed in Naha City (top picture) on Okinawa after 20 some odd days at sea. I won't tell you what happened, but it was the first time I really drank some beer. 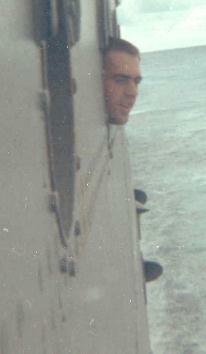 Two or three days after that we were off the coast of Vietnam and were told we were "going over the side". All I could say was "@#*!". We did and with full battle gear...but no ammunition! As we approached the beach, the engines of the LST roared and strained, we rammed the bottom, the front went down, and we stormed out... to a band playing and girls rushing up to us with flowers...Were they not already doing that in the U.S. during protests? This was Vietnam. 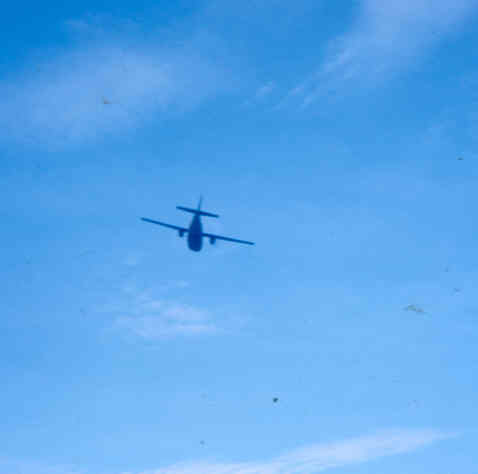 From the beach we loaded onto deuce and a halfs and went to a nearby airstrip, walked into the belly of a C-123, the ramp closed, and we were flown to the "interior". We landed at another dirt airstrip that was part of a special forces camp. A sign on the roof of what can best be described as "four posts holding up a top" read. "Welcome to Bear Cat. Elevation 33 feet. Please do not pee on runway". The runway was dusty, dusty, dusty. This was October, 1966 and our job was to enlarge the special forces camp to get ready for the rest of the Division which would come over in December. Until then, we were on our own with the "sneaky petes" and elements of the 173rd Airborne brigade. Both of them scared us more than the VC. This is a map of the Southern part of Vietnam. Look for "Bear Cat" which is east of Saigon . That was the home of the 9th Infantry. Look South of Saigon for Tan An, that was the base camp of Charlie Company of the 15th Combat Engineers. My platoon operated mainly east of Tan An. But, on many occasions ventured all the way to the Cambodia border to the west. 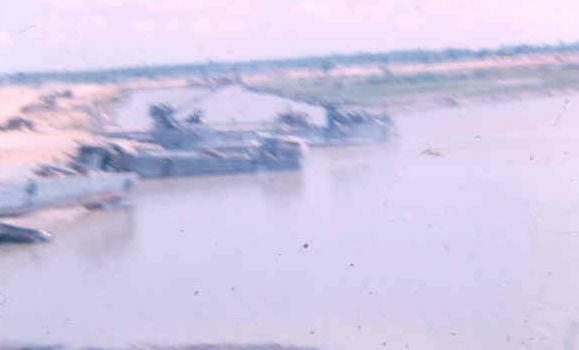 Further South of Tan An is Dong Tam, the brigade HQ of the 3rd Brigade 9th Infantry and the "River Rats".